Summer time is here! Yesterday marked the official end of the semester, which I have to say is why you all haven’t heard that much from me in the past couple of weeks. But now that meetings are over, exams are finished, research papers are graded, and final grades are submitted, I’m here. And I am ready for my summer vacation. Which tends to be when I can get a lot of side projects done. It’s a working vacation, really, but I make sure to enjoy myself a ton. And every summer for the past few years, I have set myself a series of new goals that I try to reach. Sometimes I succeed, and sometimes I don’t, but I wanted to share with you what the next few months of my life are going to look like. In the end, they’re pretty simple: run, write, read. I’ll probably be talking a lot about disparate stuff like this on the blog, too. I’ve come to realize that I don’t talk nearly enough about the geekiness that pervades my life. My wife once noted that I like three things: Star Wars, superheroes, and exercise. I talk about the exercise a lot, and sometimes about the others. But not enough. So I may try to change tack around here a bit, if you guys are willing. I may identify these days as a runner, but I’m also a sci-fi writer and an English professor. I study film and genre fiction. I think Geek Fitness could do with a little more geek, what do you say? This one’s pretty simple. I don’t want to plan for a race. I don’t want to burn myself out. I don’t want to injure myself. So I’m going to take some advice I saw in Runner’s World a couple months ago and remember that I do this for fun. I enjoy the 10k distance more than any other distance because it’s challenging, but not exhausting. It’s an attainable, repeatable distance, but takes dedication to get good at running it. I don’t feel like I’m cutting a run short like I do with a 5k, and I don’t feel like I’m going to lose a leg I did after a half-marathon. I have never felt better about myself and running than when I was running 4x 10k a week this past fall. 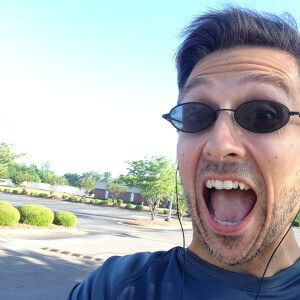 So that’s my only running goal right now–get back to 4x 10k. Because I like it. I might still run a marathon this fall. I might run a half. I might run a series of whatever-the-hell-I-feel-likes. I don’t know. I’m gonna run because I like it. Not because I have to. Years ago, I set out to be a writer. I ran a successful Kickstarter campaign, released a few novels, had an encouraging amount of success at it…and then stopped. I lost my momentum and my inertia when I didn’t keep up with writing like I should have. So this summer is mainly about figuring out how to rebuild myself as an independent author and getting more books out there that people want to read. So…I’ve got projects to work on. 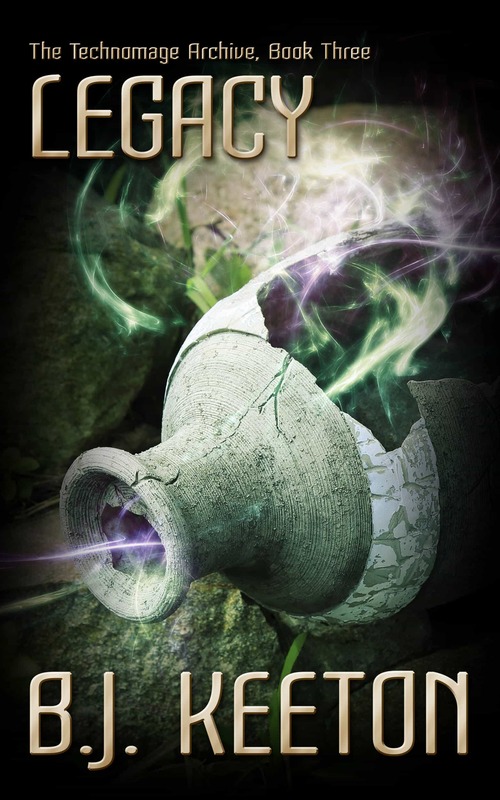 The first one is Legacy, the third novel in my Technomage Archive trilogy. It will be released on July 1 on Amazon. This one’s been a struggle, and I have to admit that I lost my way as a writer a few times on this one. But the end result is fantastic, and I truly think this is the best book I’ve written so far. 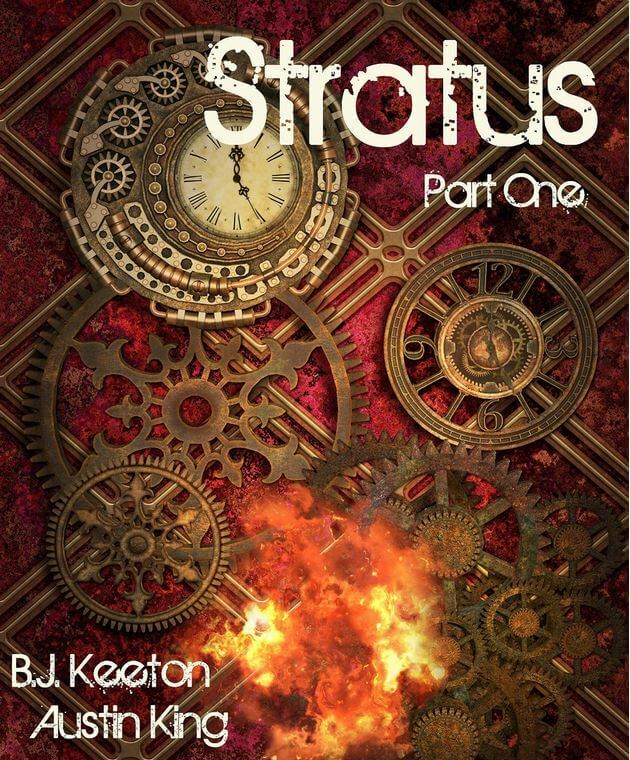 I am also writing Stratus: A Steampunk Novel with my co-author Austin King, and we’re mostly done with the second serialized part of the novel. It’s a follow-up to Nimbus, but both books can be read as standalones. I expect the full, 3-part serial novel to be finished by the end of the year. And then there’s my newest project. And I think it’s my favorite one that’s coming up. I don’t know when it’ll be released, but the more I write, the more I fall in love with the idea and the characters. My goal as an author is to write the kinds of books that I want to read. And I like to read silly, fun, pulpy genre adventures. I also like to read about characters who genuinely like each other. Like Andy and April or Ben and Leslie on Parks & Recreation. I am so sick of love triangles and make-up/break-up bullcrap. So I’m in the process of writing a series of shorter, pulpier, science-fiction adventure novels about a married couple who not only run a ship together, but also legitimately like each other. In addition to my fiction, I am also working on a weight-loss memoir. I wrote the first draft last year, chronicling all the things I did to lose weight and how fitness and nutrition helped me live the life I want. Right now, it’s a bit of a mess. First drafts are. But it’s done, and after sitting for a year, I think I’m in a good spot now to get it in shape to submit to agents. I think I have an interesting story to be told, and I’m not a statistic. I started losing weight 5 years ago, and after having lost 155 lbs, I’ve kept it off. Most people can’t say that, sadly. So I wanted to write something that shows people that ordinary folks can do it and make their lives better. I’ll keep you updated on it. Not sure how else to really talk about it, but I intend to read a lot this summer. I love that I get enough spare time to actually spend some time with my Kindle, and I’m going to make the best of it. I’m finishing up Leviathan Wakes by James S.A. Corey right now, then I’m reading A Clockwork Murder by the awesome Todd Edwards. Then I’m moving into the Twenty-Sided Sorceress series by Annie Bellet. I also get the joy of preparing a science-fiction class for a directed study with a student this fall, so I am going to get to delve back into the wonders of Dune, Asimov, Bradbury, and all the stuff that made me love the genre in the first place. It’s going to be amazeballs. So, that’s my summer. I’m going to be busy, but love every second of it. I’m going to get to make a lot of stuff up, travel to wondrous planets and worlds, and run until my brain dopes me up and tells me I’ve done a good enough job that I can stop. What about you? What does the amazing summer of 2015 hold for you, Fitgeeks?